Iwan and Manuela Wirth, Conxa Juanola, Luis Laplace, and Miquel Camps. All photos: Manuel Viturro. “WE ARE always returning to the House of the Father.” This verse of Novalis, the über-romantic German poet, haunted me as I approached Chillida-Leku, the sixteenth-century caserío, or farmhouse, on the leafy outskirts of San Sebastián/Donostia, in Spain’s Basque Country. This is where the now-legendary Basque sculptor Eduardo Chillida (1924–2002) made his dream of finding a permanent home for his works from 1983 onwards. His ashes rest there as well. Chillida may well be considered as the great father figure of Basque art during the twentieth century: After the Spanish Civil War, the man and his work became rapidly associated with the (yes, so romantic) telluric and ancestral notions of the Basque Land, the ages-old folklore and traditions of the Basque People, and the timeless expression of its national spirit. The place itself (Leku means place in Euskera) is a total work of art, a Gesamkunstwerk not without ambitions in the most German sense of the term. In the renovated interior of the old house, and in the meadows and forests that surround it, Chillida installed monumental sculptures and smaller pieces that provide an all-encompassing vision of his work and the world at large. Yet time has passed, and now Hauser & Wirth is making a further step in its international expansion by supporting the reopening the renovated Leku, following a presumable—but undisclosed—golden handshake with the Chillida Estate that also throws the worldwide commercial representation of his legacy in the deal. 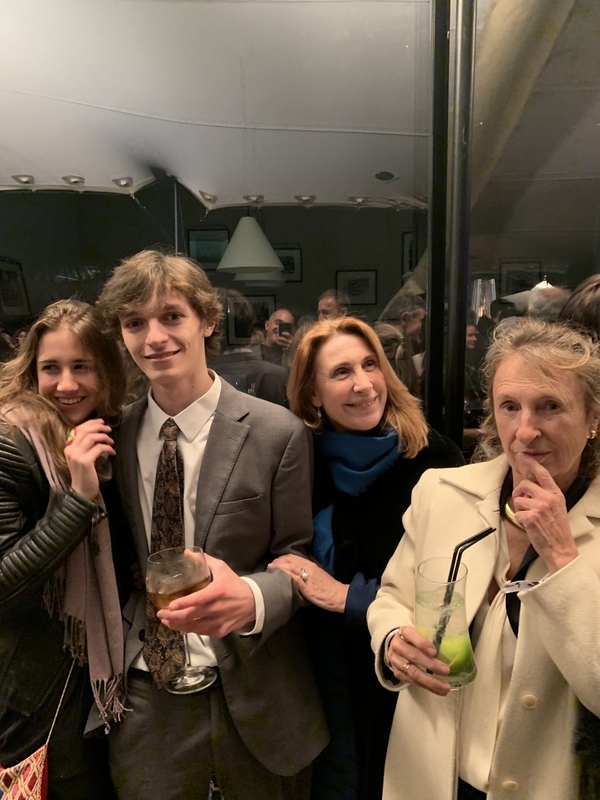 Claudia Mugica, Eduardo Chillida's grandson Pablo Chillida, dealer Blanca Soto, and Susana Chillida. 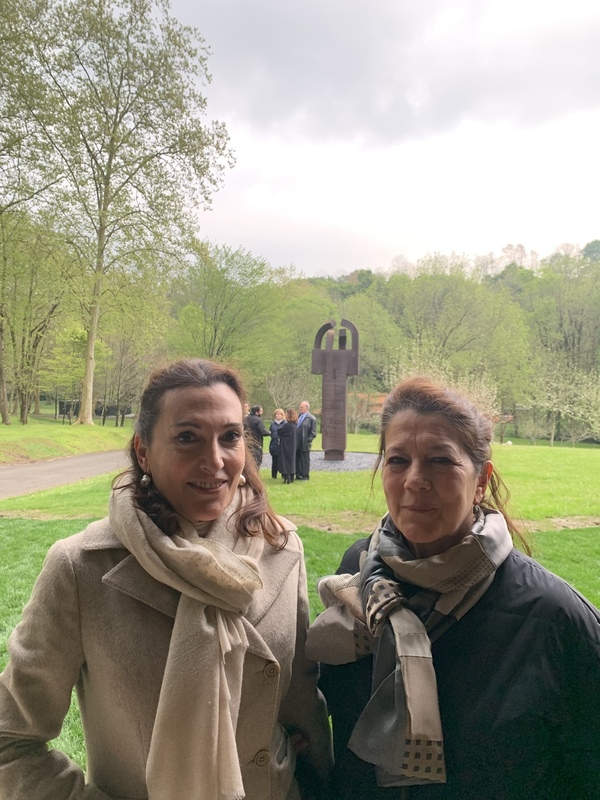 It’s good news also for Euskadi and Spain at large: Since 2010, the economic and management disagreements between the Chillida family (he had eight sons and daughters) and the Basque government kept the place shut or at half gas (it could only be visited by appointment). Now, Argentinian architect Luis Laplace, already a household name at H&W, and Dutch landscapist Piet Oudolf (yes, the High Line guy) have reformed and converted the reception pavilions and slightly reformed the arrangement of the pieces. On the afternoon of April 11, the all-too ancestral and very Basque tenuous-but-maddening rain (txirimiri, it’s called there) decided to give everybody a break. 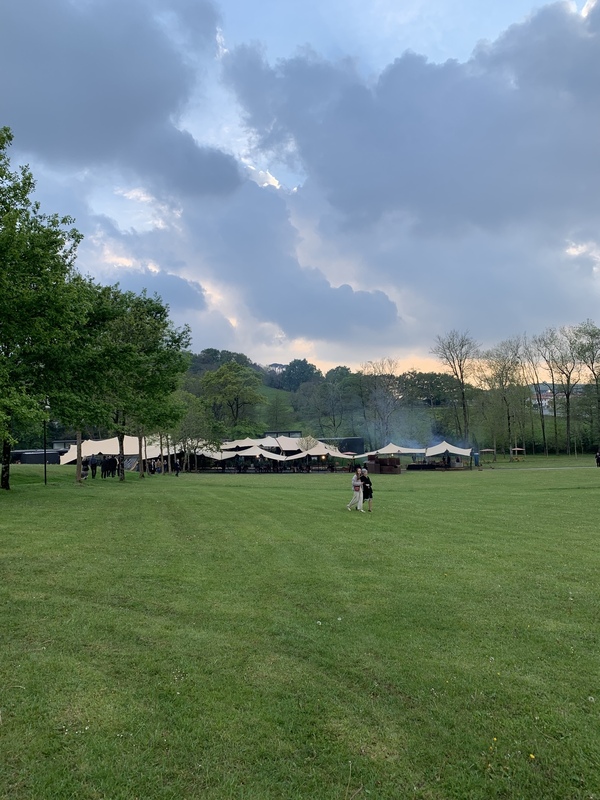 The cream of the art intelligentsia and the art world of the Basque Country and the rest of Spain attended the merienda-high tea-dinner-dance-garden-party organized in the premises and the tents installed to receive in style. Manuela Hauser and Iwan Wirth, sitting at one of the sheltered tables of the new restaurant there, chatted with Susie Guzmán, the madrileña who directs their New York venue, Laplace, and Conxa Juanola, the mayor of Mahón, Menorca. Menorca is the most elegant and discreet of the Balearic Islands (nothing to do with the flashy bling of Ibiza) and the art world should keep an eye on it: Hauser & Wirth have reached an agreement with local authorities and await further planning approval to develop a new project on the premises of a tiny islet close to the port of Mahón. Artist Cristina Iglesias and curator Lourdes Fernández. The dealers acted as cohosts along with the numerous representatives of the Chillida clan, of all ages: As a good patriarch, he added up to twenty-five grandchildren of a highly distinguishable physiognomy and aire de familia. 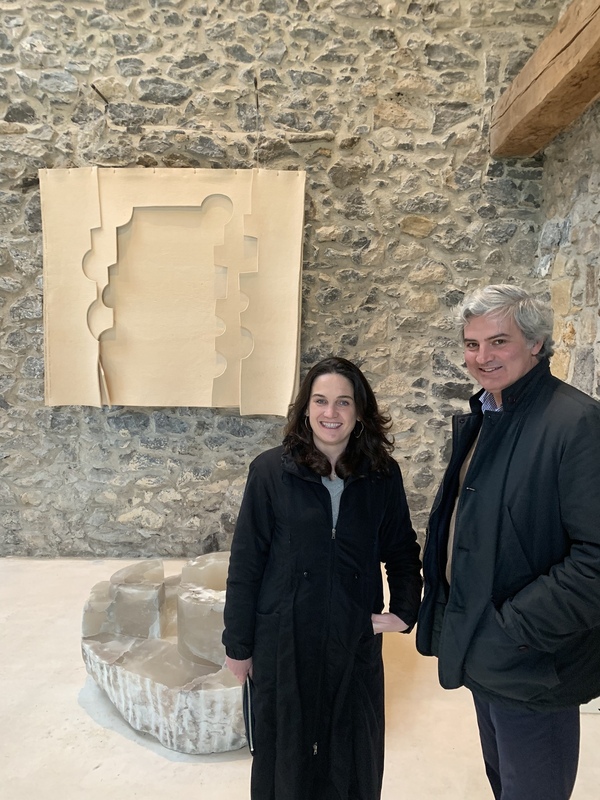 His neice Alicia Chillida, with many years of experience as curator of contemporary art behind her back, gave her approval to the “microsurgery” of the new display and the new model of private management of the father's house. Another famous clan of Basque and San Sebastián art, the Iglesias, were also well represented. 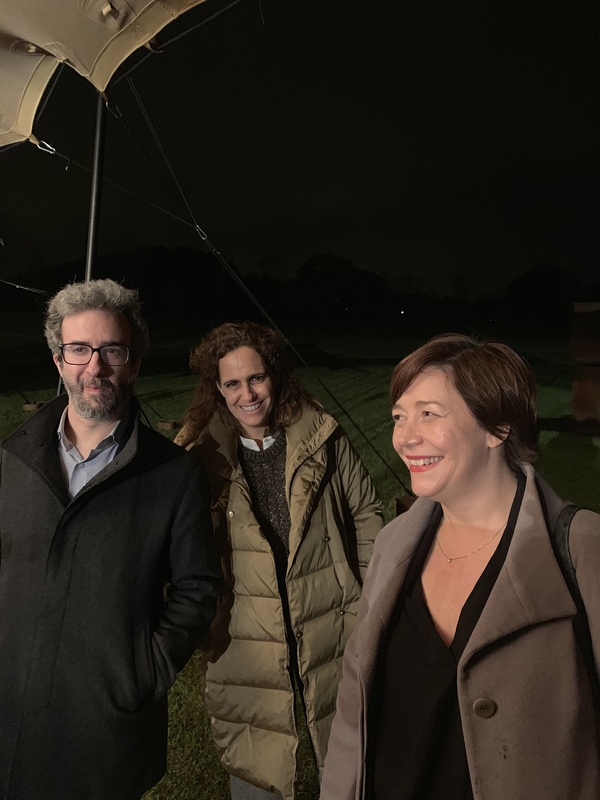 The sculptor Cristina Iglesias and the curator Lourdes Fernández (former director of the ARCO fair) talked about an installation of a site-specific permanent work of Iglesias’s on the island of Santa Clara. It will inevitably be in dialogue, from shore to shore, with Chillida’s most famous outdoor project, El Peine del viento (The Comb of the Wind), 1977, a historical landmark also in the bay of La Concha. Meanwhile her brother, composer Alberto Iglesias, three times nominated for an Oscar, commented on the subtleties of his beautiful soundtrack for the brand new (and splendid) film by Pedro Almodóvar, Dolor y Gloria. Señora Gregori Rodríguez and her niece, June Caro. Collectors, dealers, curators, museum directors (among them Miguel Zugaza, who boosted the Prado Museum in Madrid and now runs the fabulous Museo de Bellas Artes de Bilbao), and artists swarmed around the premises. They danced as if there were no tomorrow (although there was, because the party continued until the wee hours of the morning at the Nautical Club of the port of San Sebastián). They drank txakolí, the cider-like tangy Basque white wine, and Basque cider, solid and solemn as the best of white wines, almost. And of course they tasted the best of Basque cuisine, which reaches its glorious peak in a city that sums up to eighteen Michelin stars. It included a Chillidaesque cheese buffet, carved and arranged with an art that the old sculptor himself would have approved. I was quite taken with a discreet, distinguished, and kind woman who presented a remarkable familiarity with the place. 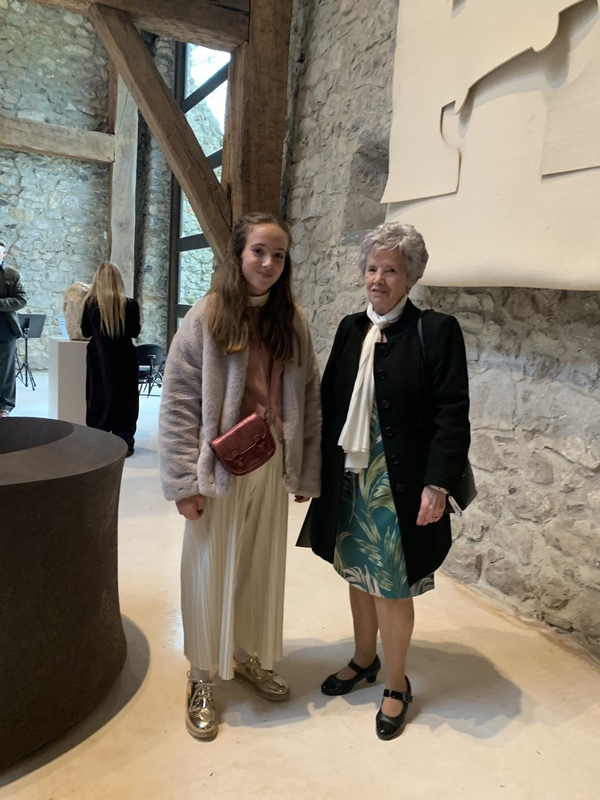 After exchanging a few words, she turned out to be the señora Gregori Rodríguez, who was born in far-away Extremadura, and who for more than thirty years worked at the Chillida house and helped to raise the family forward. She had as a companion her young and bright niece, June Caro, who plans to be a dancer. Gregori spoke with great esteem of Eduardo Chillida, and she knew every inch of the place and its thousand stories. It was perhaps also Rodríguez, more knowledgeable in a way than any of us guests, that was most happy to be able to return, at long last, to the house of the father. 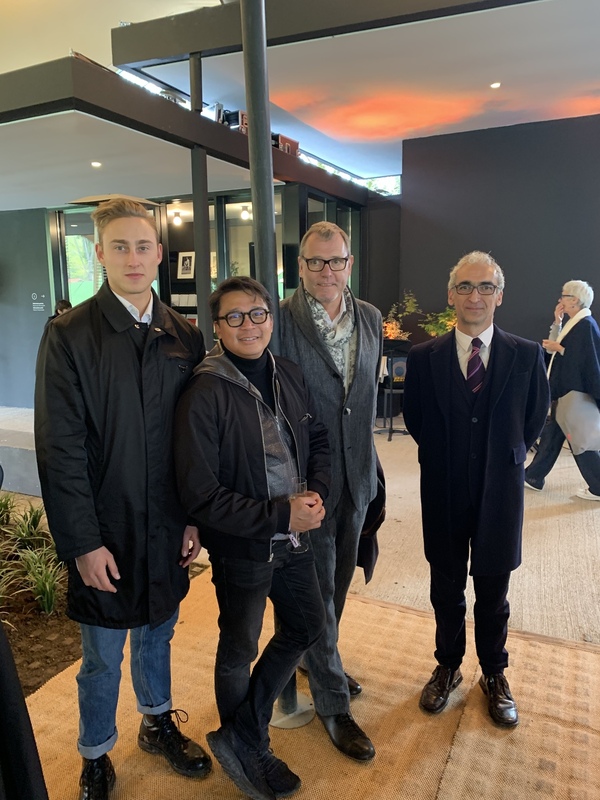 Dealers Max Menke, Noel Estrada, and Stefan Ropke with architect Luis Enguita. Tents on the premises of the renovated Chillida Leku. Art Basel's Itziar S. Mangas and Gonzalo Quintanilla. 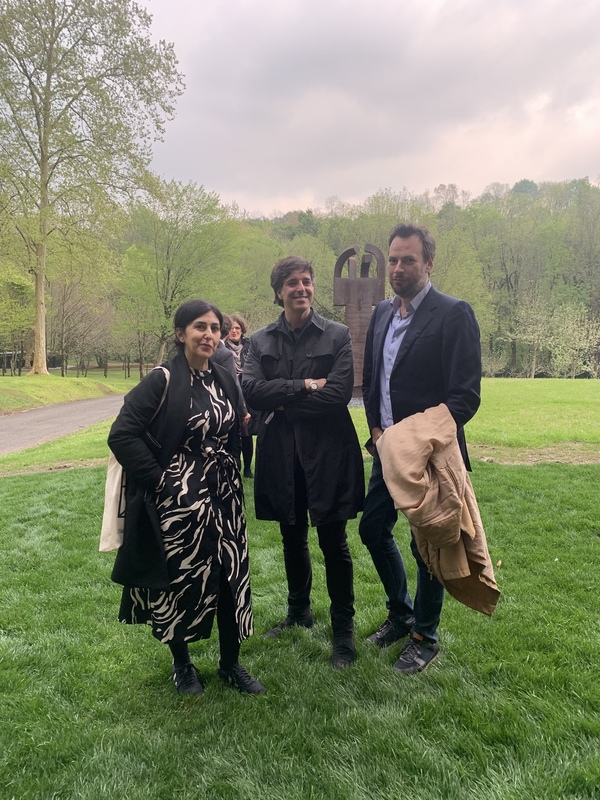 Rosa Ferré, director of Matadero Madrid with publishers Patxi Eguilaz and Carlos Copertone. 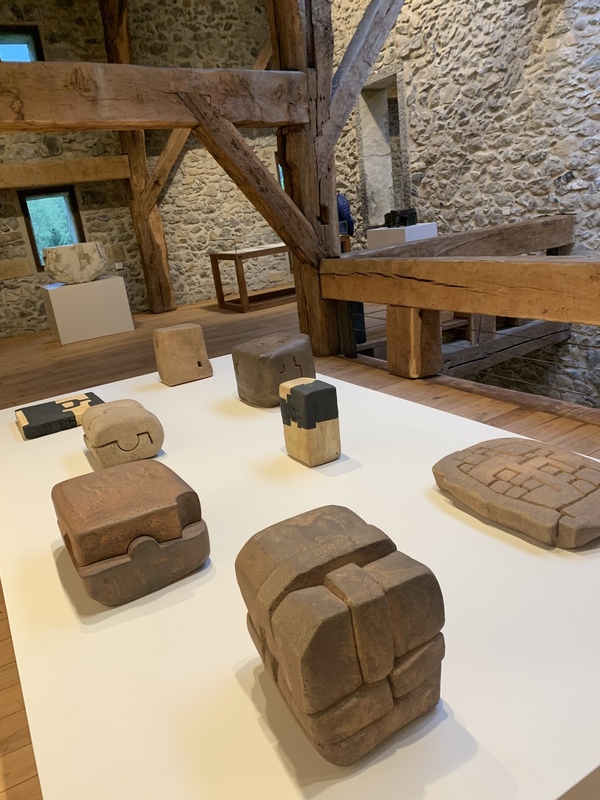 Small format sculptures in the renovated interior of Chillida Leku. 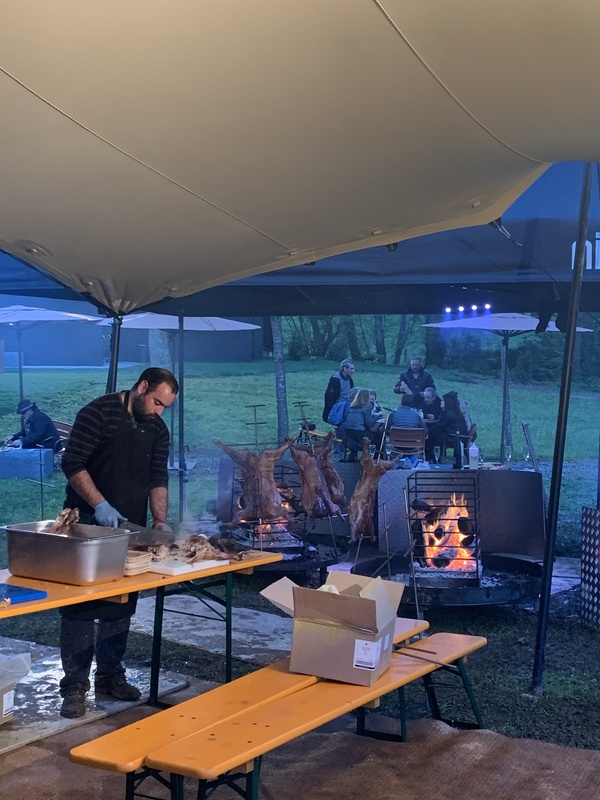 Roasting lambs at one of the dinner party tents. 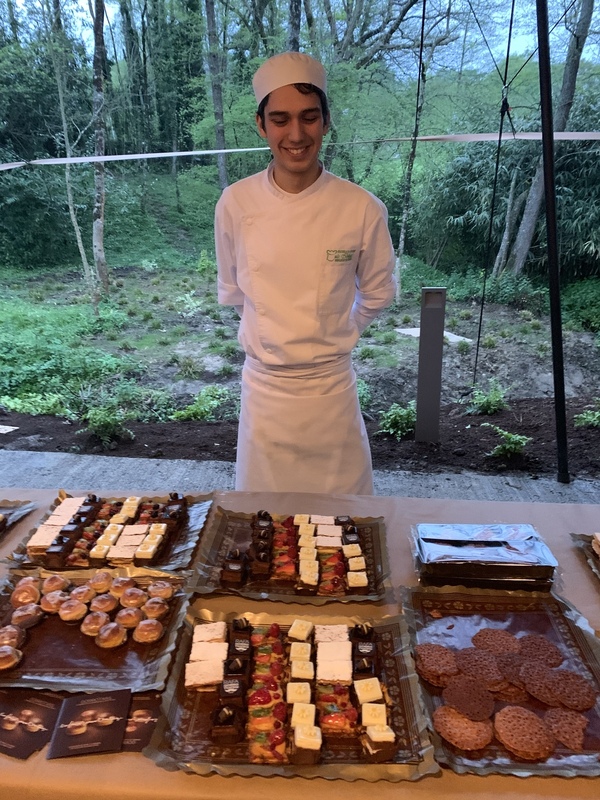 Dessert buffet by renowned Basque patissier Rafa Gorrotxategi. Dealers Pedro Maisterra and Lucia Mendoza and Maribel Lopez, co-director of ARCO.